Prior to work at UM, the researchers collaborated at the University of Oklahoma. 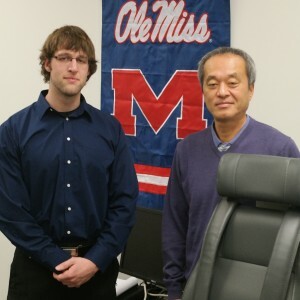 Beginning in 2010, the two were involved in research devoted to muscular development and site-specific muscle loss. At that time, Loenneke was a doctoral student in health and exercise science; Dr. Abe was a visiting professor from Japan, most notably the University of Tokyo, a top 30 world-ranked research university. And when Abe became a visiting professor for Indiana University in 2011, the professors continued their collaborative research through e-mail and travel. Although Loenneke uses Abe’s knowledge, the visiting professor emphasizes that the relationship is only collaboration. Dr. Mark Loftin, associate dean of the School of Applied Sciences, indicated that research collaboration most often enhances both the quality and quantity of scholarship.